Have you ever wished that someone could do your grocery shopping for you? I totally have that thought on a regular basis! I mean, wouldn’t that be amazing?! Well Sam’s Club must have read my mind! P & G at Sam’s Club recently invited me to try out the new drive-through Club Pickup service in Houston and sponsored this post. Oh yes, it’s real and It. Is. Awesome. …but on days where it’s 100 degrees outside, or pouring rain, or the kids are going at it, or the little one is napping it can be a struggle. We use our Sam’s Club membership to stock up on necessary household items like Pampers diapers/wipes, Bounty Jumbo Paper Towels, Crest Pro Health Toothpaste, and Venus Swirl Razors. And let me tell you, while I love hot deals, I’m not as big a fan of the hot Texas sun beating down on me while I heft packages into the trunk. But what if you didn’t even have to get out of your car? First, this is a free service for Sam’s Club members. (Of course you still have to pay for your items, but the Club Pickup service itself is complementary). Login to your Sam’s Club account (if you don’t have an online account you can register instantly with your membership number). Shop, select products and add to cart. Fill out payment information to enable drive through pickup. 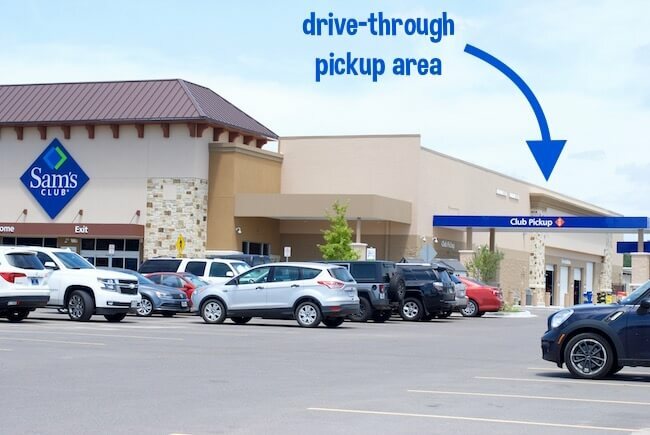 ** Take note if the store you chose has a drive-through pick up or if it is in-club pickup. You will receive an email notification to let you know that your order is ready for pickup. Head over to your Sam’s Club and follow the signs to the Club Pickup area. Check in at the computer kiosk or with an attendant. (An attendant saw us coming and met us outside before we even had to use the kiosk). Try out Club Pickup at Sam’s Club and get a free gift! I’ll also have gift cards and goodies for the first 50 people to stop by and try out this free service! See more of our featured Houston events and happenings here. « Potty Training Tips – Ignore them All Except THIS One!